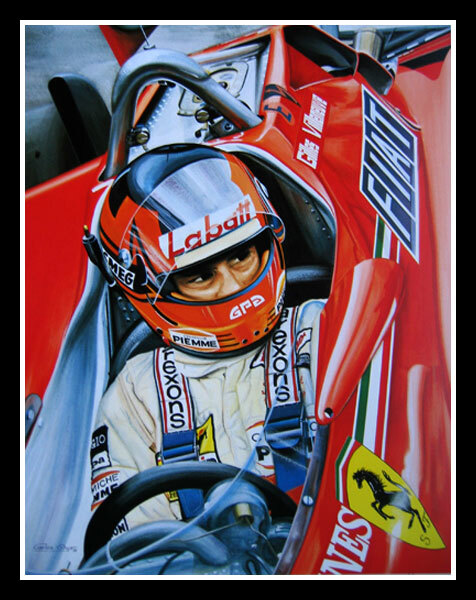 Gilles Villeneuve was born in Berthierville, Quebec on 18 January 1950. The French-Canadian was introduced to high-speed sport at the age of eight when he started to race snowmobiles, winning the Canadian championship in 1973 and the world title three years later. His first win paid for a Formula Ford car, in which he won 70% of his races. He then moved on to Canadian Formula Atlantic and in 1976 he beat many top F1 drivers - including Britain's James Hunt - in the Trois Rivières race at Mosport. When Hunt returned to England after the race, he raved about Villeneuve to his McLaren boss, Teddy Mayer. Villeneuve was given his Grand Prix debut the following year in Britain and was so impressive he was awarded the 'Man of the Meeting' prize. McLaren did not race Villeneuve and Ferrari leapt at the chance of securing the securing the services of the man Enzo Ferrari saw as the new Nuvolari. His Ferrari debut came at his home Grand Prix, where he was qualified twelfth, after retiring four laps from the end with a broken driveshaft. Villeneuve was retained by Ferrari for the next year, and raced for them for the rest of his tragically short career. Villeneuve's all-out style won over the hearts of the Italian 'tifosi'. His car control was legendary and in his hands the Ferrari would be flung around a circuit in a way no other driver could match. After finishing runner-up to team-mate Jody Scheckter in 1979, the Ferraris were outclassed the following year, but the introduction of turbo-charged engines in 1981 saw the resurgence of the prancing horse. Although the car was not in the same class as the opposition, Villeneuve took it to two brilliant wins and the legend of 'number 27' was born. 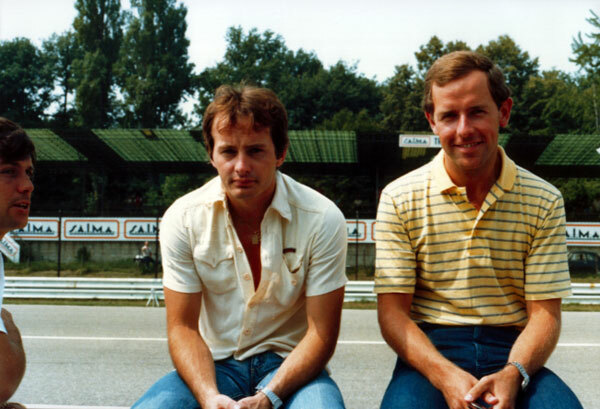 Season 1982 promised much, but there was a bitter falling out with team-mate Pironi at Imola when Villeneuve should have won and Pironi disobeyed team-orders. The next race saw the death of the little French-Canadian during practice and the world lost a truly great driver. Carlos, sitting on the pit wall at Monza in the company of Gilles Villeneuve and Patrick Tambay.